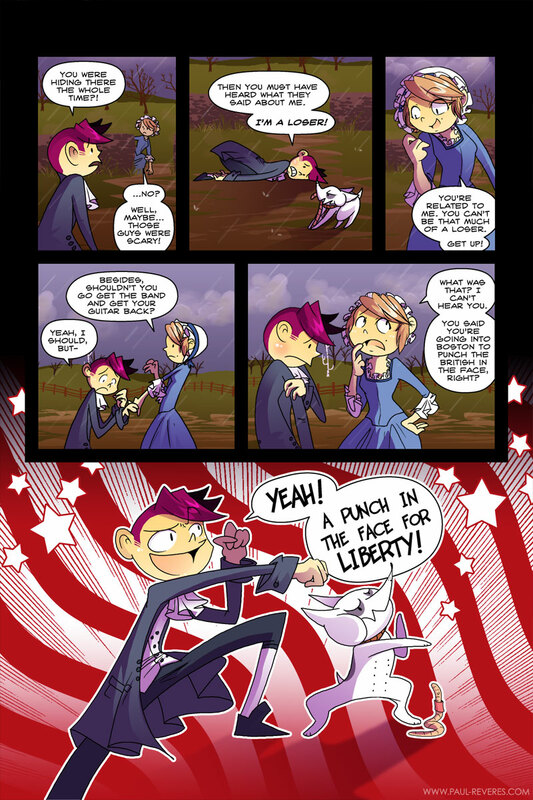 I love the final panel, look at the stars and stripes! Thanks! Paul’s sister is a cool character. We’ll be seeing her in future story arcs. I have plans. I’m gonna have to agree with jesus here. Haha, I always think of you in times like that. Liberty Punch, its like the Falcon Punch, but its an Eagle and contains fifty percent more emancipation.